As 2015 draws to a close and 2016 is right around the corner, it’s time to start thinking about our New Year’s resolutions. I know some people who say they never make any because they never follow through on them, but I still like to make them whether I stick to it or not. The effort is what counts, right? Even if for a short time, it’s better than nothing. I have several resolutions for me personally, and yes, some I carry over year after year. From trying to be a happier and more grateful person in general to working on my punctuality and time management. Last year I had a resolution to walk my dog more often, and while I succeeded a little bit, that’s another goal I need to make an even bigger effort at this year. It’s easy for me to not walk him frequently because he’s just not a very active dog to begin with so I’m never “asked” to go out. But that doesn’t mean he won’t be a happier and healthier pup if he does receive nice, long, regular walks, so it’s something I need to prioritize. This year, I have one brand-new resolution: working on ways to keep Brick from jumping on guests when they come in the house. I knew it was a nuisance, but just never took the time to really correct the behavior. I would use “band aids” by physically preventing him to jump and holding him by the collar as guests entered, then letting him loose once they were settled. But this just builds his excitement even more. I’ve made some small steps already to work on it by using common sense and basic training techniques, but I know there has to be even more I can do doing. 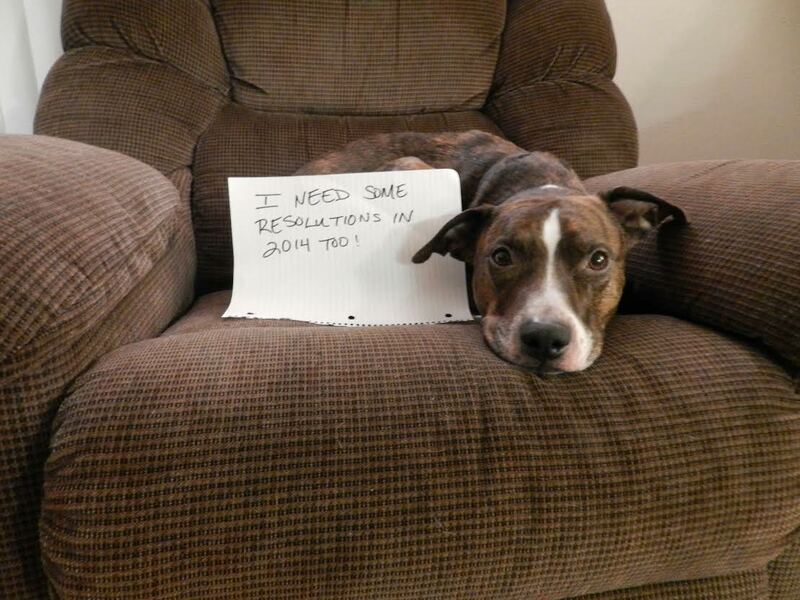 To see what other resolutions for pet owners might be out there, I asked some experts their thoughts and recommendations. Dr. Chris Potter, a veterinarian at Animal Medical in Gainesville, Georgia, suggests first and foremost, giving your dogs and cats plenty of love, as well as providing more time for exercise for your pet and yourself. “Being sedentary is not good for anyone, and there is no better exercise partner than your dog,” he says. For cats, who are generally playful creatures, he suggests investing in a new toy and make a point to have regular play dates. It’s also important to be more aware of your pets’ food and treat intake since overweight pets have a shorter life span and lessened quality of life, he advises. If you fill their bowl throughout the day, start a log so you know exactly how much they’re getting and check it against the recommended daily allowance based on their size and lifestyle. It also would be a good time to check what kind of food and treats they receive so you know they’re getting the best. Make sure their food is high quality and from a trusted source. Bonus if it’s natural or organic or made in the USA. Another resolution you might want to consider is being safer with your pet in the car. I always transport my cats in their carriers, which I buckle in by looping the belt around the carrier handle. But, for some silly reason, I’ve never been as safe with my dog in the car. Though it might be fun to let your dog lie in your lap or ride shotgun, it could be a fatal mistake in an accident, as your pet could become projectile and suffer serious injuries. Play it safe and use a doggie seat belt or car seat. dogIDs even makes a special booster seat for small dogs! If one of your own resolutions is to stop smoking, here’s more incentive: Smoking doesn’t only affect you; it also affects pets. Just like other humans, pets can suffer from secondhand smoke. In an article in the Seattle Times, Dr. Clare Knottenbelt, a professor at the College of Medical, Veterinary and Life Sciences at the University of Glasgow, Scotland, discussed this issue. She says that secondhand smoke exposure increases the risk of nose and lung cancers in dogs and lymphoma in cats, and may have a role in mouth cancer in cats and changes the cells in the lungs of dogs. 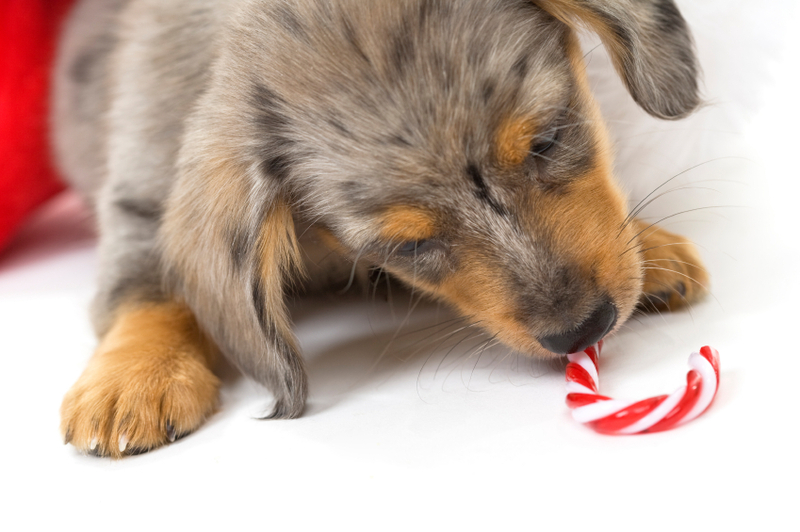 If your pet is a licker, smoke can stick to their hair, and they may be ingesting it. “Owners can reduce the effect on their pet by only smoking outdoors or, of course, by giving up completely,” she said in the article. I think the end of every year is a great time to reflect and practice some self-awareness, i.e., admitting your mistakes and shortcomings. Sharing them openly with friends and family can be a great way to build in accountability so you’re more likely to follow through on them. You can even build them into your schedule. I know that I’m way more likely to do something if I see it written in my daily planner. Or take it a step further with a friend and vow to help and support each on the one most important goal you each have. That way, you have someone checking in on you, and you’ll want to hold up your end of the bargain. What are some of your resolutions in 2016? Next articleDo Dogs Need Boots in the Cold? While I’m really good at walking my dog every day, I tend to stick to the same old route. I’d like to commit to taking him on more “adventures” to new trails and parks. It’s something we both love, but it’s hard to actually schedule the time for it.